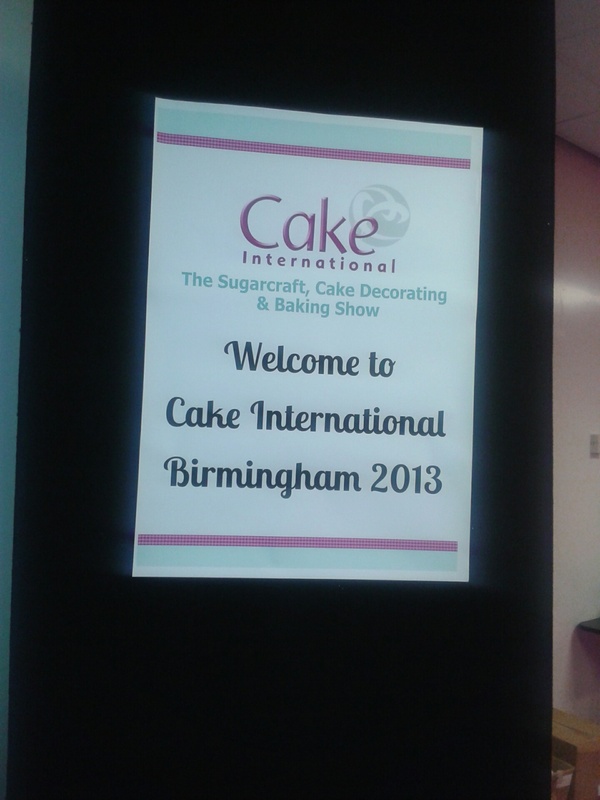 Cake International arrived at the Birmingham NEC Arena, on Friday, and having attended from early morning, until it closed, I have to say, it was fantastic. When you walk in there is a sea of stalls and people, excitedly pouring over the array of cooking tools, icing sugar demo's, and chatting animatedly with the stall holders. Most of the show-goers were women, 90% in fact. I don't believe baking is a gendered past time, but most of the fellow attendees were female. 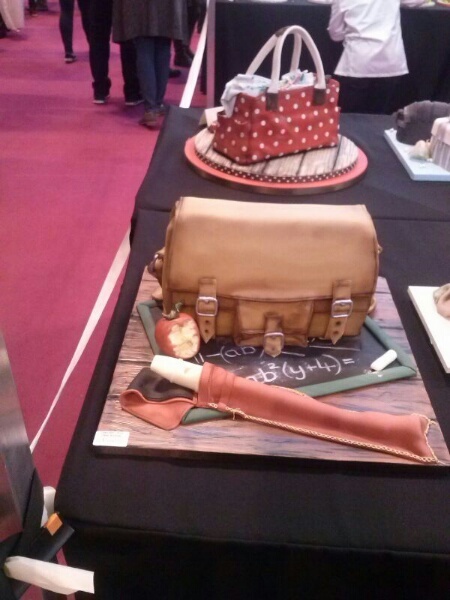 The men that I did see seemed to be enjoying themselves however, and rather taken by the sheer volume and scale of design in the cakes competition area. 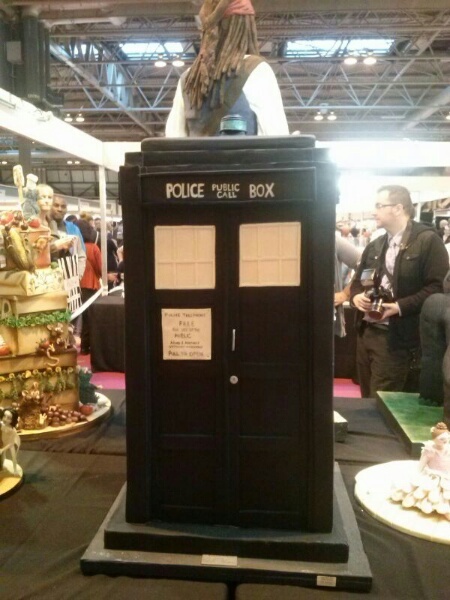 One of the most striking things I found, was the show wasn't somewhere you go for cake samples. I was expecting to be heavily fed with cupcakes, tray bakes, cookies, every type of quickly baked delight in miniature form, for customers to sample. But it was in fact a show about design, and how to decorate the perfect cake; there were countless stalls dedicated to cake decorating, little or small – it seemed the 'thing' everyone wanted to know - how to do the fancy icing, and how to make it the cake you've taken out of the oven pretty. Most of the decoration stalls had the high end, icing, which everyone seemed to want to get their hands on. 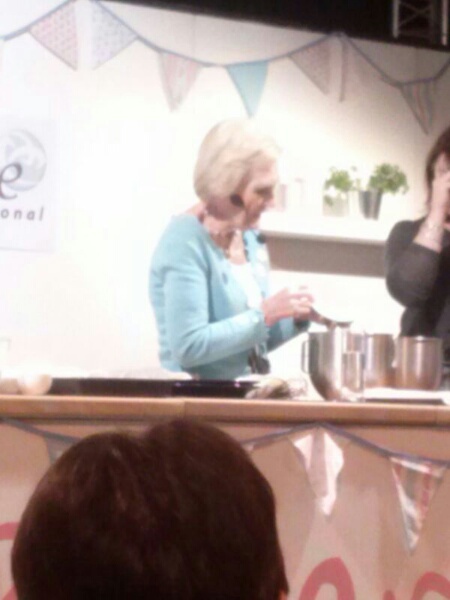 Speaking of what everyone wants, the lady of the moment, Mary Berry was in attendance. I was lucky enough to be sitting in the VIP area, and who appeared out of nowhere, but Mary Berry, perched on the settee to my left. Firstly she looks incredible. Her poise and demeanour do nothing to indicate her age, her skin glowed and she's also so slim – I'd love to know her secret. We watched Mary's demonstration, and as she took to the stage (after a fantastic intro by Paul Da Costa Greaves), there was a loud applaud, and it was truly one of the best parts of the show. She's funny, had the audience in fits of giggles, and her talent is unparalleled. Mary whipped, rolled, and spread with such ease and finesse, that you really wonder why people think baking is difficult. Mary explained the why and how behind each step, but also punctuated her demonstration with funny anecdotes about her family, experience and, of course, The Great British Bake Off. No doubt was one of the catalysts for what I consider the nation of bakers we have turned into. In the tool and baking essentials section, was of course the queen of baking tools, Luisa Zissman with her new brand: Bakers Toolkit. You could see it a mile off because it had the largest stand, and looks the most professional. Bright, and inviting colours also made it somewhat of a feature. I got to chat with Luisa who is an absolute delight. She featured as a finalist on the Apprentice, and only came second to the winner. You wouldn't have thought she'd come second judging by the misplay. It was bright and professional; Bakers Toolkit is the only brand on the market, which sells deep cupcake boxes, which are deep enough to carry cupcakes with very high icing. I've never seen it before – she's really filled a niche. Professional roll out icing in a rainbow of bright colours were also on sale along with edible decorative sugar balls. 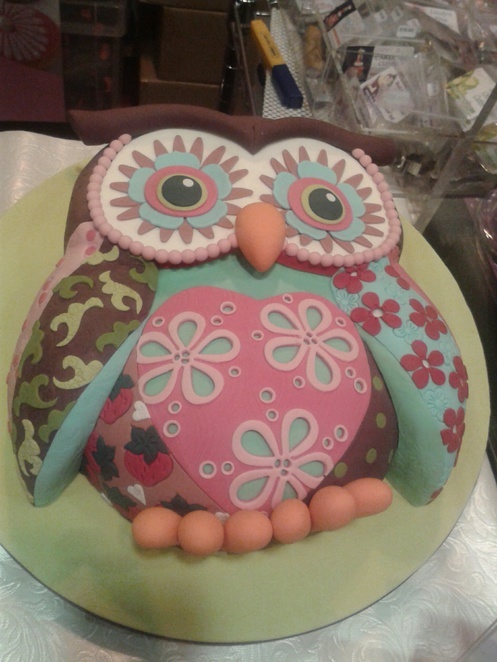 The fun and yet simple design would appeals to a younger audience and attracts the amateur baker. As we made our way throughout the show we spotted classes taking place from shape-making to truffle-making, all of which were free to ticket holders. The NEC is large, and when you've covered a lot of ground you get hungry and whilst it was busy in popular areas like the food court, cake competition area, and demonstration section it was a bit difficult to pass through with ease. I don't recommend bringing small children, or prams/buggies because they are hard to move around with when the size of the crowd is like that of what I witnessed yesterday. In relation to the food court, The Fat Sandwich is worth a mention. 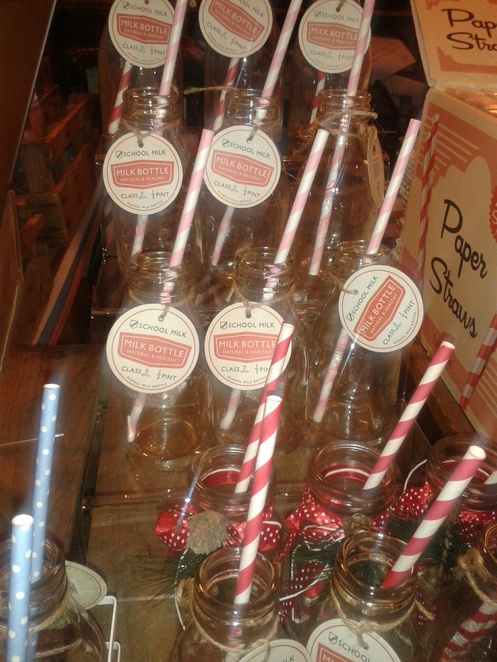 There are two main food areas at the NEC, with a handful of food stands dotted around the floor. The Fat Sandwich is the nicer of the two food courts, it is also the more expensive. Eating at the NEC is never a cheap affair; sandwiches start from £4.79 and a sandwich and salad 'meal' costs £7.79 at The Fat Sandwich. That said the sandwiches are surprisingly delicious. I enjoyed a hot pork sandwich with apple relish and puy lentil and bean salad. My mother, however opted for a simple jacket potato with baked beans and a cup of tea (£5.79). There were a few bargains to had, considering it was the cake international show. Cookie cutter in silver and brass adorned the front of one stand, whilst another featured vintage and kitsch kitchen tools. There is one more day left for the Birmingham show, but if you're happy to travel then find the show at EventCity in Manchester in March 2014, and at ExCeL London in April 2014. If you attend the final show, I recommend travelling by train because the station opens on to the arena, and it is much easier and cheaper than arriving by car. Added to my 'to do list. I can't wait till it comes to London. And the price is affordable for once!